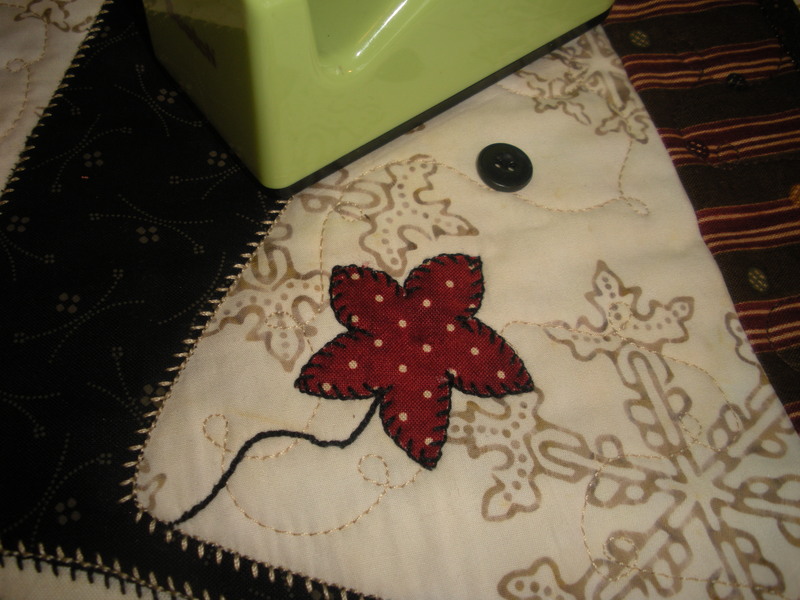 December | 2010 | Quilting my way through life! That’s right, just one more day to comment on the New Quilt Pattern Magazine! I’ll pick a lucky winner on January 1st. If you want a chance to win a free year’s subscription you better act fast!!! Click the image below and go check out the new magazine’s website, then come back here and leave me a comment to be entered to win. In Season for Love is now available on my website and possibly your local quilt shop too! When I took the patterns to a local shop, a quilter bought a pattern as soon as she saw it! She has a wedding coming up and thought it would make a nice wedding gift. She already had one of my “In Season for Fall” patterns in her possession to buy. Start to finish, it took me longer to choose the fabrics than to make the whole sample! Having a design wall in your sewing room can be a real handy tool to have, but my sewing room does not have enough wall space to devote to one. I typically use the floor just outside my room to lay out quilts in progress. Since I can only get so far away from the project I’m working on, I use my digital camera and take a photo of my project. I then look at the project on the monitor of the camera to make decisions. The photo gives the illusion of standing back from the design. It’s easier for me to use this perspective to make decisions of fabric choices, border sizes, etc. For quick decisions, I also use the film camera (no film anymore) just to “stand back”. Looking through the viewfinder, I can check progress of small aspects of a design, or for choosing quilting thread colors. If I can’t see detail in this manner, I know I need to step things up a notch. I hope this helps you with your next decisions! It’s totally on-line, totally new, starting in January and it could be yours totally free for the first year!!! What’s up, you ask? Well, for just $11.99 you’ll get a 1 year subscription of 12 issues, plus one extra issue! It will be sent in pdf format so that you’ll instantly be able to access each issue “hot off the press”. It’s totally green and fast. And if you subscribe by Dec. 31st you will receive 14% discount! 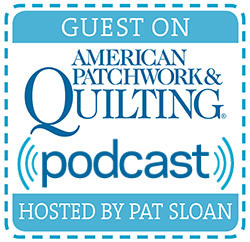 But if you go to The Quilt Pattern Magazine website right now and then come back here and leave me a comment, you could win a year’s subscription for FREE!!! Please note, my comment tab is at the top of my post, near the date & post title. I’ll be drawing a name January 1st. 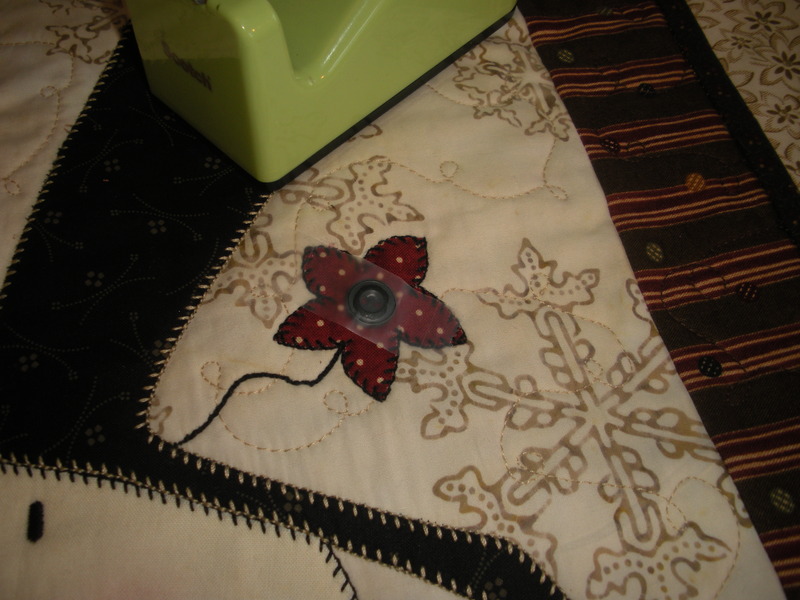 I love putting the binding on a quilt. Wanna know why? When I get to the binding, that means the quilt is almost finished. Nothing is better than finishing the quilt and standing back to take a look. 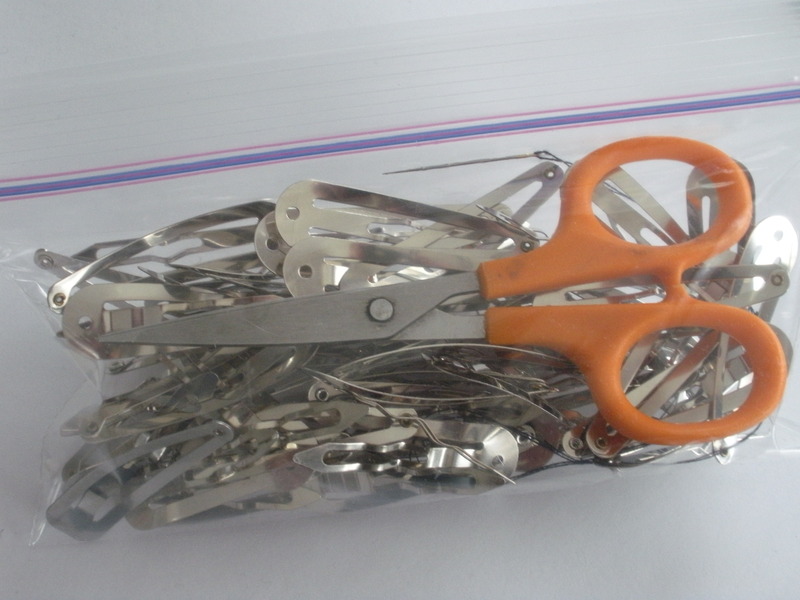 Do you all know about binding clips a.k.a. hair clips from decades ago? ﻿They’re the best thing to hold your binding folded to the back of your quilt until you can hand sew (yes, hand work) it into place. That’s where this week’s tip comes from. I’m almost finished with a new pattern, yeah! When I do the hand stitching on a quilt, I usually do it one of two ways; either in front of the TV or while I’m out of the house sitting and waiting for something. You know, something that I can listen to, but don’t have to watch 100%. It makes the binding time seem almost non-existent. 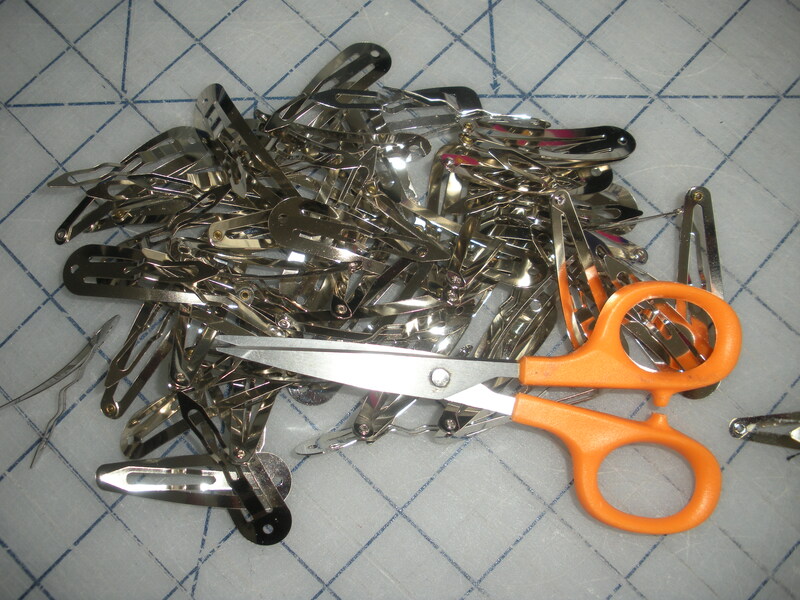 I keep my binding clips in a snack size Ziploc bag along with a pair of scissors and a threaded needle. When I’m ready to use them, I grab a spool of matching thread and the bag of clips along with my quilt with the binding already sewn on and I’m set. Note, I slide the treaded needle into the side of the bag near the zipper. This keeps the needle where I can easily find it. I use the same bag for years, until I decide it’s getting pretty used up where I poke the needle. I especially like this tip because it “works” for me. 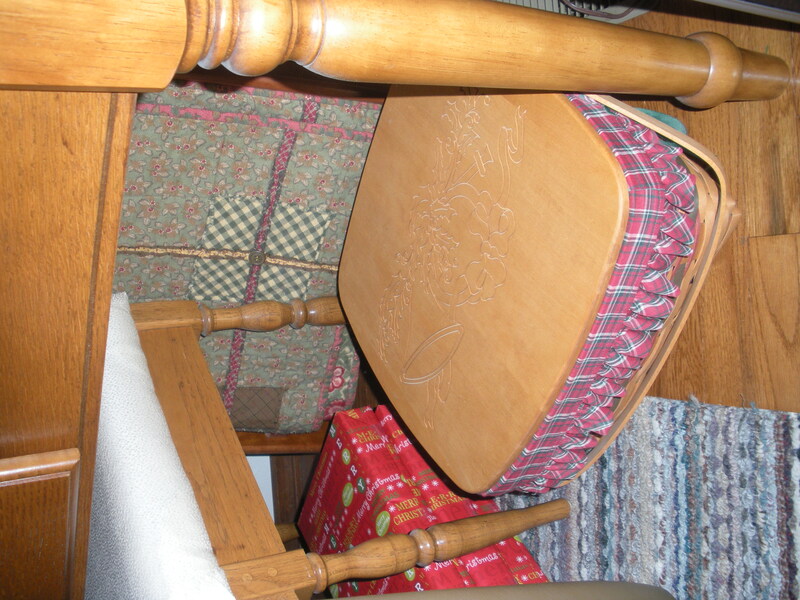 If I’m on the way out the door and in a hurry, I can pick up the bag, quilt and thread and know that I have everything that I need to work. With yesterday being a snow day here in the midwest, today has felt like Monday all day instead of Tuesday! Today I went Christmas shopping and to lunch with my college student daughter between her finals. These rare solo times spent with my kids are priceless! It wasn’t until I was making dinner that I realized I needed to post another hot tip. 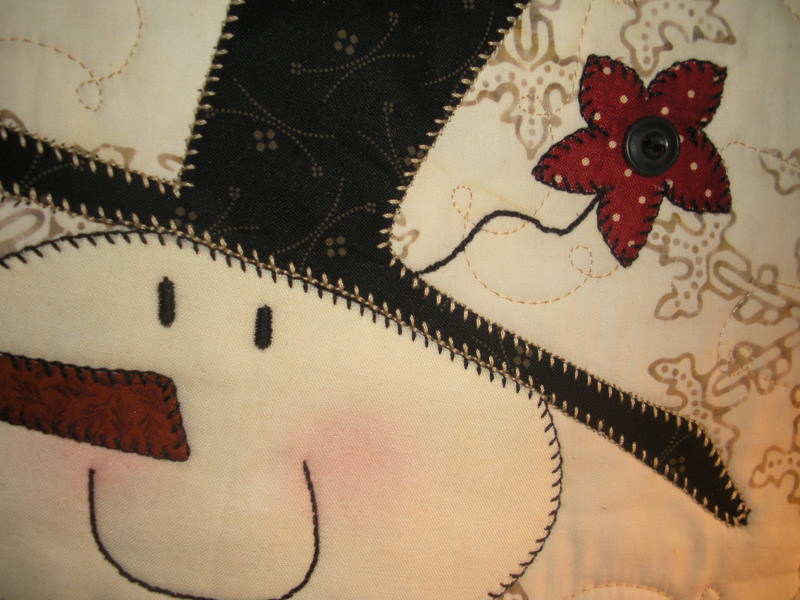 The tip I’d like to share with you today has to do with my love of fusible applique. 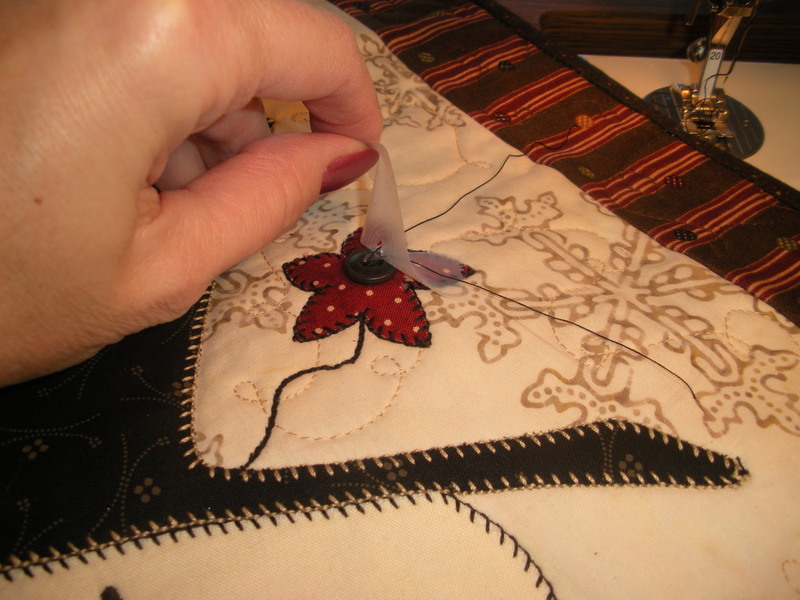 It’s one of my favorite quilting techniques to perform and with it I get lots of scraps. 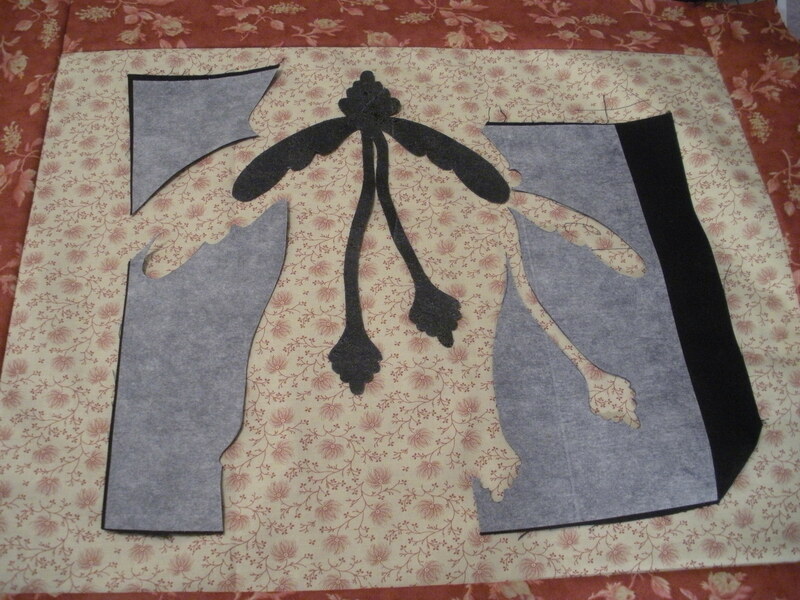 Being the frugal/creative quilter that I am, I hate to throw away the negative shapes that are left when I cut out the shapes I need for a project. I’ve even used some of these negative shapes to start a new project before. Look at all this beatuiful black fused fabric that is left after cutting my new cool shape out! I removed the paper from my fused design so you can see the scraps better. 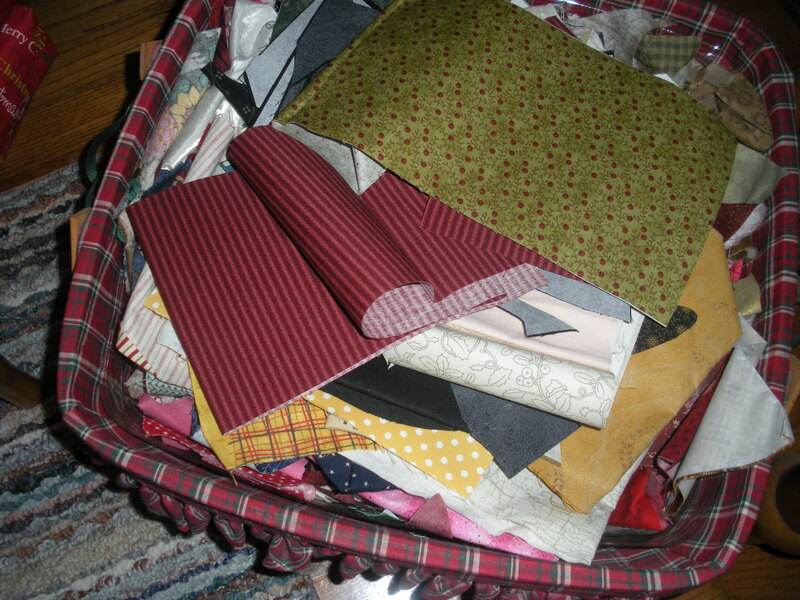 Many years ago I started saving these fused scraps in a big Longaberger basket that was sitting in my sewing room without a purpose. Not only have I saved fabric, it comes in handy if I need a scrap of green or black or red… I don’t have to go to the effort of fusing a piece of fabric just for a small piece I want to add to a project. 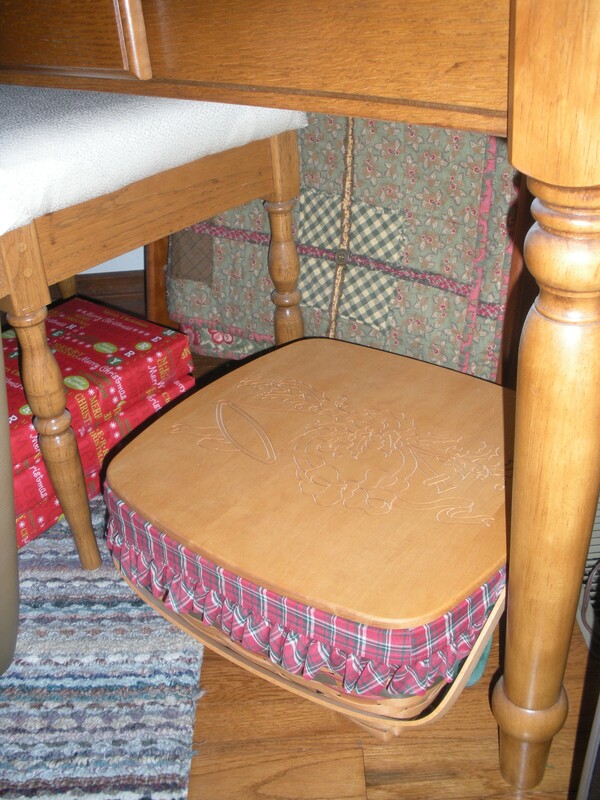 What’s also nice is I’m putting a big basket to work, yet it looks nice nestled under a table in my living room that is adjacent to my sewing room. Perhaps this will spark an idea of creativity in your sewing room. Quilters are constantly commenting on how I get so much done. 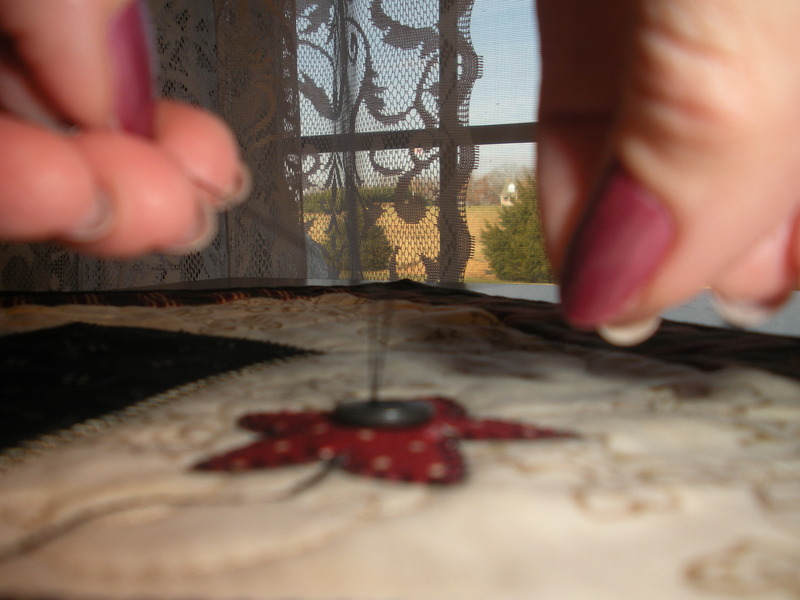 Or they see my samples and are blown away by the details and precision and think that the miles of buttonhole stitch on my applique (my very favorite of stitches) is done by hand. Well, as most of you know, it’s hard to take such a compliment without telling on ourselves. It seems my standard issue reply is always “Oh no, it’s all by machine. I even sew on my buttons by machine.” To which the reply is mostly, “No way!” Well, yes way, and today I’ve decided to illustrate just how easy this is. You’ll need a button and some Scotch tape and whatever you want to sew the button to. Position the button where you want it sewn, and apply a piece of tape to amply cover the button and secure it on both sides to the fabric. 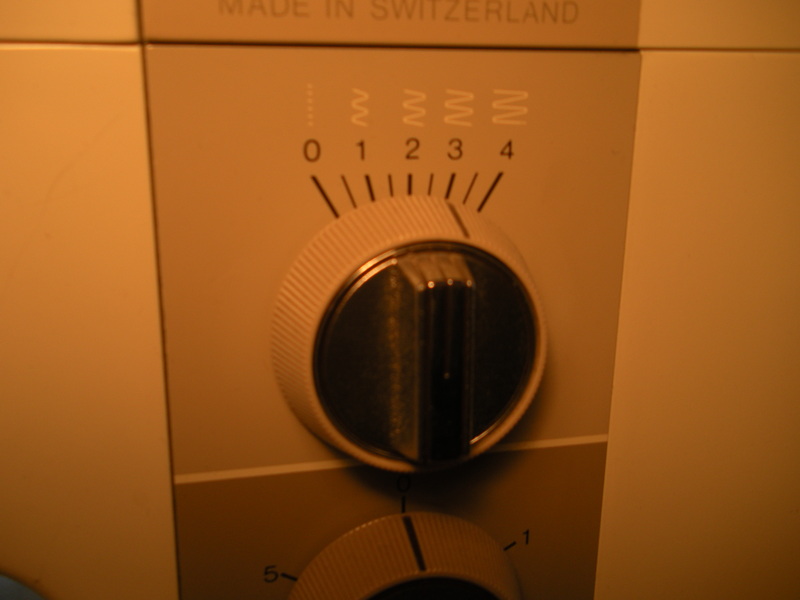 Set sewing machine’s stitch length to “0”. Set stitch width, this will be different with different machines. I set my Bernina 930 (best machine the whole wide world) to “3”. 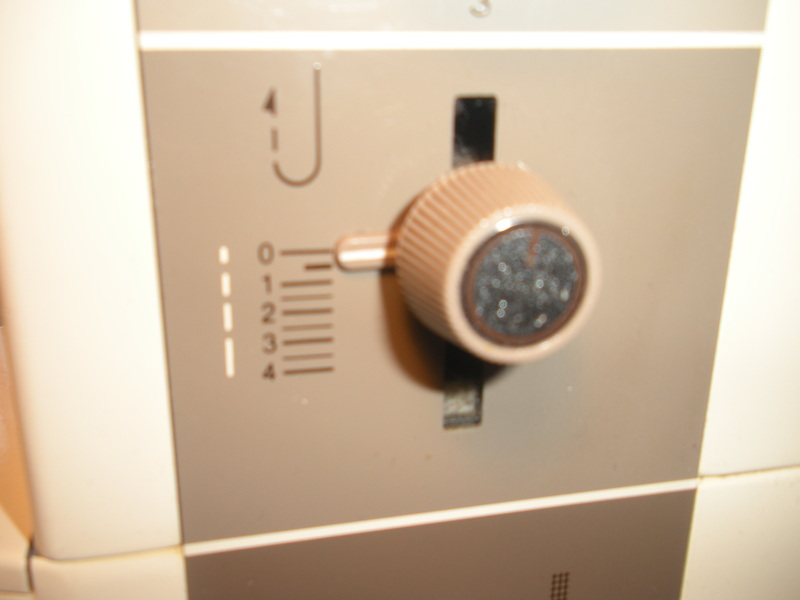 I’ve found over the years that most buttons have this as standard. Unless the button is very tiny or very large this setting is exactly what it needs. You’ll want to verify this for your machine in the next step. 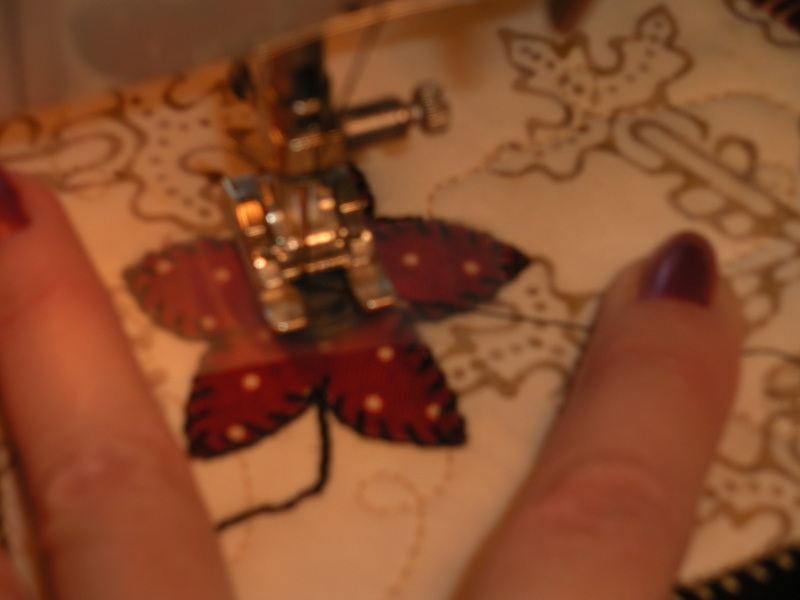 I like to use my open toe applique foot. Probably the most important point in this process (and the blurriest of my photos) is to hold down the thread as you start to sew. First with hand on the fly-wheel turn it toward you getting the setting for the stitch width set. 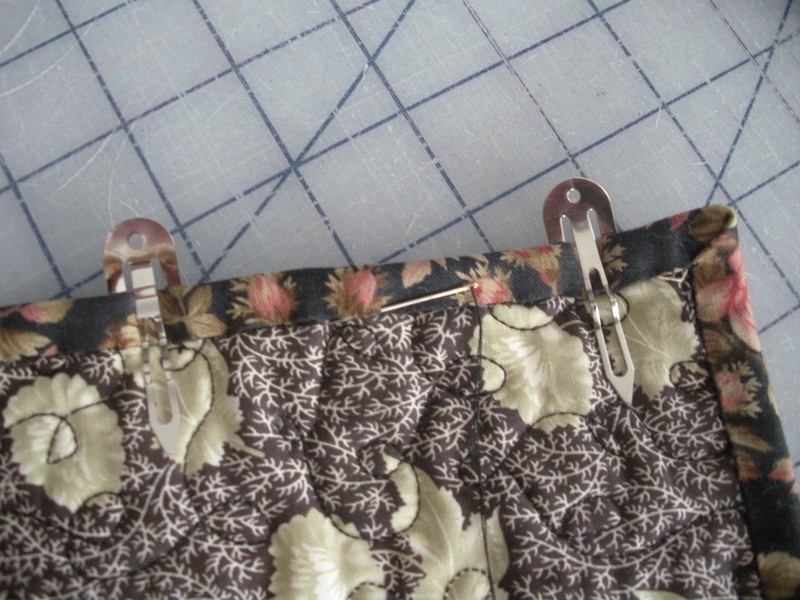 After you’ve gone back and forth into both holes twice, use the foot pedal and sew 8-9 times total. Yes, I usually grimace as I’m doing this although is just a reflex from breaking so many needles in my sewing history! 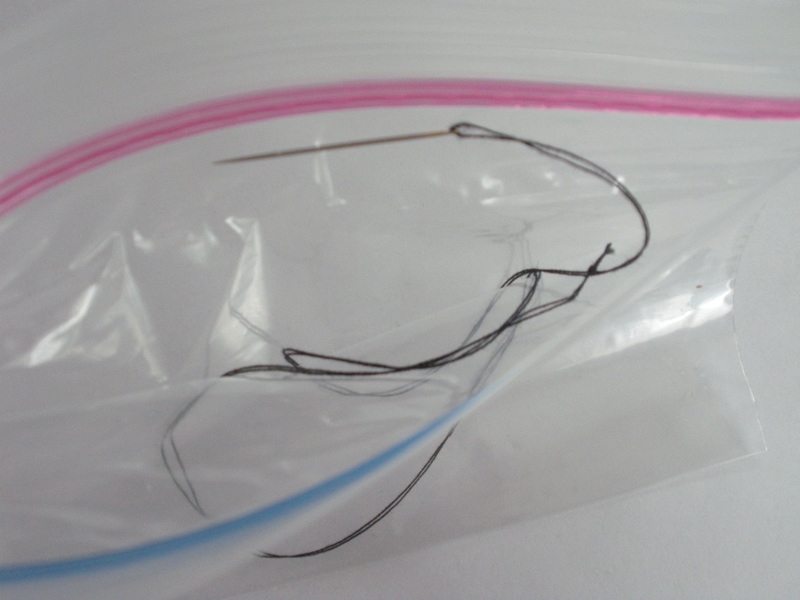 Leave a long thread tail and cut threads and remove tape. Tie a square knot on top the button and then on the back to secure it. Trim all the threads. Here’s the finished button. This is the snowman from one of my latest patterns. You can see the whole cute little guy here and purchase the pattern too! See all the buttonhole stitches here? I love the way my machine applies them so evenly. And the Sulky 12 wt. cotton thread is my absolute favorite! I hope you give this time-saving technique a try.